So sad that there are who really don't care in our environment.. I could not agree more. 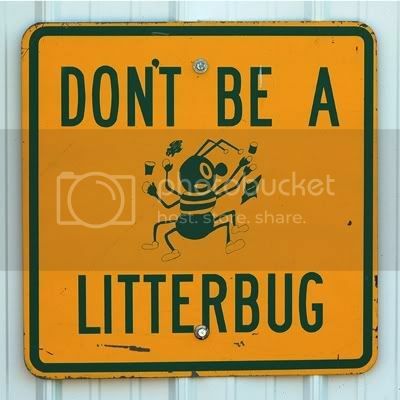 When my husband & I started dating (we were 15 & 16) he had the horrible habit of littering and I would get so mad. After a few times, he got my point. I'm happy to say that seven years later- it never happens. 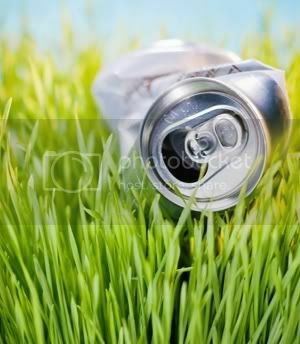 I have no idea why anyone would litter- it has never crossed my mind to throw trash out my window.. I keep trash in the door pockets of my car and I empty them while I'm pumping gas. I get so angry when I see someone do this! This drives me crazy. Especially when I'm driving and the person in front of me throws something out the window. It is so LAZY! I get so angry when I see people litter, also, it's really sad how many people will walk right past a piece of trash just because it isn't theres. This is SO funny, because I cannot stand this either. I hate to see people litter. I actually had a couple wrappers fly out of the car the other day and felt terrible! I'm so happy to see I'm not alone on this. My husband and I live in an apartment building and have dumpsters less than 20 feet from the parking lot. We see our downstairs neighbors putting their trash from their cars on the ground between all the other cars before pulling out to leave at least twice a day. We're talking bags, cups, cans, ashtray butts, junk mail, etc. It's maddening!